After losing the weight, take steps to maintain it! In addition to improving your health, maintaining a weight loss is likely to improve your life in other ways. For example, a study of participants in the National Weight Control Registry found that those who had maintained a significant weight loss reported improvements in not only their physical health, but also their energy levels, physical mobility, general mood, and self-confidence. What are the risk of weight gain? Losing weight takes commitment and understanding the factors causing the weight gain. 5 Step guide to losing weight fast in NYC. Step 1 for losing weight: Make a commitment. Step 2 for losing weight: Take stock of where you are. Step 3 for losing weight: Set realistic goals. Step 4 for losing weight: Identify resources for information and support. Step 5 for losing weight: Continually “check in” with yourself to monitor your progress. NYC Weight Loss Step 1: Make a commitment. Making the decision to lose weight, change your lifestyle, and become healthier is a big step to take. Start simply by making a commitment to yourself. Many people find it helpful to sign a written contract committing to the process. This contract may include things like the amount of weight you want to lose, the date you’d like to lose the weight by, the dietary changes you’ll make to establish healthy eating habits, and a plan for getting regular physical activity. Writing down the reasons why you want to lose weight can also help. It might be because you have a family history of heart disease, or because you want to see your kids get married, or simply because you want to feel better in your clothes. Post these reasons where they serve as a daily reminder of why you want to make this change. NYC Weight Loss Step 2: Take stock of where you are. Check your height, weight, calculate your body mass index, and where you are in the BMI scale. Understand that BMI alone is not a great measure of your metabolic risk as the distribution of the weight plays a very important role. 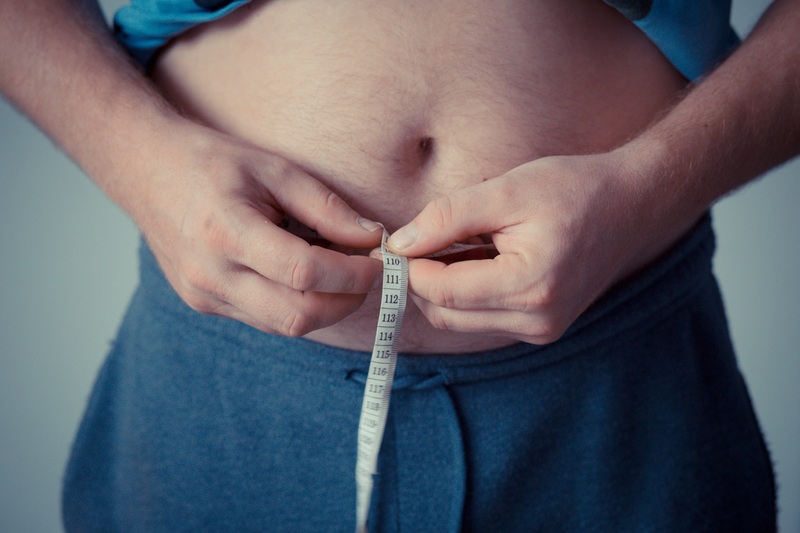 If you have the weight around the tummy or upper part of the body, it could be a sign of a problem called metabolic syndrome, which increases the risk of diabetes, prediabetes, and cardiovascular disease. Start With A Food Diary! – Keep a “food diary” for a few days, in which you write down everything you eat. By doing this, you become more aware of what you are eating and when you are eating. This awareness can help you avoid mindless eating. Check Your Lifestyle and Habits – Next, examine your current lifestyle. Identify things that might pose challenges to your weight loss efforts. For example, does your work or travel schedule make it difficult to get enough physical activity? Do you find yourself eating sugary foods because that’s what you buy for your kids? Do your coworkers frequently bring high-calorie items, such as doughnuts, to the workplace to share with everyone? Think through things you can do to help overcome these challenges. See if you might have sleep apnea, or other sleeping issues that may be contributing to your weight gain. Check If Are Insulin Resistant! Affecting about 1/3rd of the US population, insulin resistance is very common and leads to central obesity or belly fat. Also called insulin resistance syndrome, this condition increases inflammation in the body leading to increased risk of diabetes, heart disease and many other disorders including some cancers. However, the diagnosis of insulin resistance is fairly simple. Identify The Factors Contributing To Your Weight Gain! Finally, think about aspects of your lifestyle that can help you lose weight. For example, is there an area near your workplace where you and some coworkers can take a walk at lunchtime? NYC Weight Loss Step 3: Set realistic goals. Set some short-term goals and reward your efforts along the way. If your long-term goal is to lose 40 pounds and to control your high blood pressure, some short-term eating and physical activity goals might be to start eating breakfast, taking a 15 minute walk in the evenings, or having a salad or vegetable with supper. Here is a list of free online articles, books and papers that you can read to understand what is causing the weight gain and how to lose the weight, and keep it off. Once you reached your weight loss goals, it is important to take steps to keep it off! Focus on two or three goals at a time. Great, effective goals are — Specific, Realistic and Forgiving Goals! How can W8MD Medical Weight Loss Centers Program Help You Lose Weight Fast In NYC? As one of the very programs to accept health insurance for the physician visits in New York City area offered at two convenient locations in New York City and King Of Prussia, our physician supervised medical weight loss program can help you reach your weight loss goals and help you keep it off. Since your insurance most likely covers the physician visit, all you pay is your copays, if any and for supplements and or weight loss medications. Thanks to the Affordable Care Act of 2010, most insurances do offer full insurance coverage for obesity screening and treatment as obesity is now considered a preventable medication condition that cannot be excluded. In fact, the Affordable Care Act of 2010 mandates all insurances, including Medicare, to provide full insurance coverage for obesity! With W8MD’s Insurance Weight Loss Program, you may only have to pay your copays as most insurances cover the cost of the visits. The weight loss medications such as diet pills or appetite suppressant medications, Very Low Calorie Protein Bars, Shakes, Smoothies, and other weight loss supplements are all optional tools. If you have a little or a lot to lose, consider the unique W8MD Medical Weight Loss Centers program in Greater New York. You have nothing to lose except your unwanted pounds! Trim Down Your Waist, Not Your Wallet! Think WeightMD (W8MD) for Weight loss! Call 1800-W8MD-007 for more information.